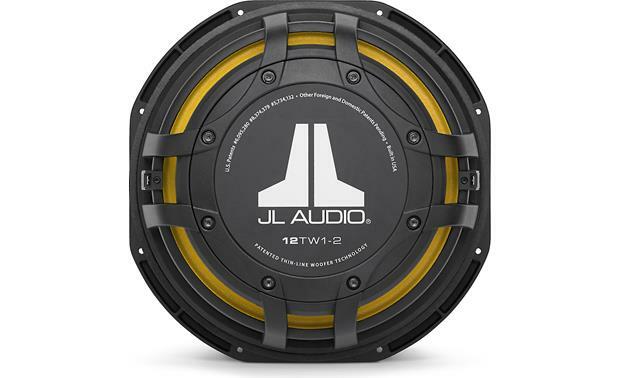 The JL Audio 12TW1-2 subwoofer drivers offer an unparalleled combination of shallow mounting depth, nominal frontal clearance and extremely small enclosure requirements, making them an outstanding choice for tight-space, moderate power applications. 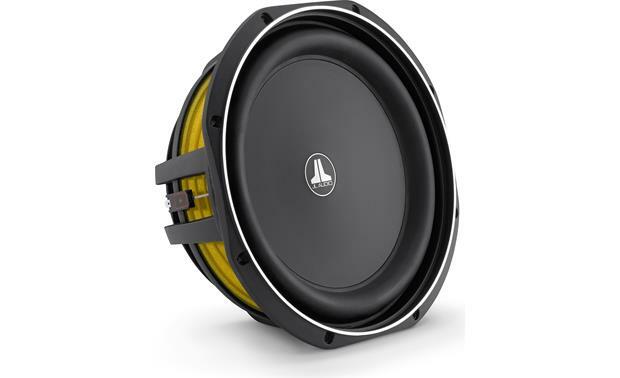 They are the perfect bass solution for muscle cars, small cab trucks or any other application that requires JL Audio performance in an ultra-compact space. The driver achieves this extreme level of shallow-depth by compressing the architecture of the TW1 using a “concentric tube” structure that supports the oversized voice coil and the suspension attachments. This permits placing the large motor structure much further forward in the speaker than with conventional designs, while maintaining excellent linear excursion capability and mechanical stability. In addition, the DMA-optimized motor system produces a consistent motor force over a long range of strokes and power levels. Those strokes don’t prevent the driver from remaining compact, however, thanks to the frame design that minimizes the frontal clearance required for the excursion of the driver. This is accomplished by recessing the suspension attachment surface, so that most of the forward excursion occurs within the frame’s architecture. 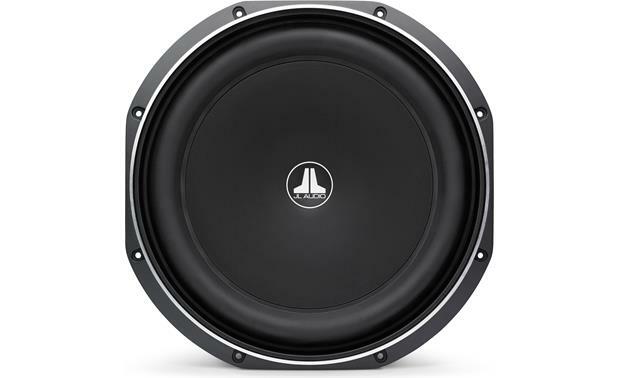 It is because of all these ground breaking achievements that JL Audio chooses the TW1 to provide the voice for many of their PowerWedge series enclosures and Stealthboxes. 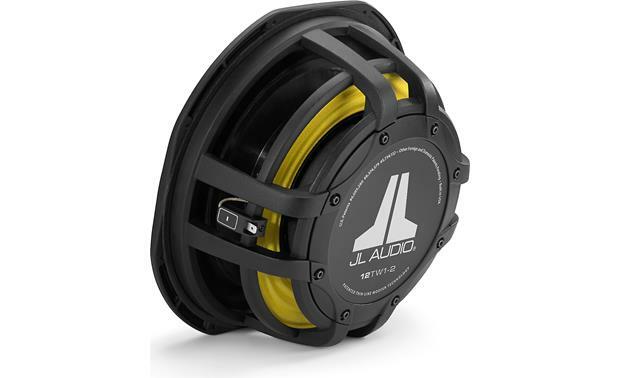 JL Audio’s patented solution to overcome the lack of mechanical clearance, presented by “low profile subwoofers”, employs a molded structure which spans over the edge of the motor system, supporting the spider on the outside of the motor’s boundaries and the large diameter voice coil on the inside. 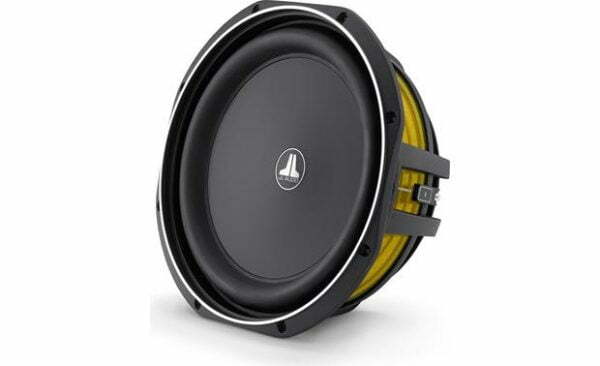 The large diameter voice coil permits the magnet to sit inside it, rather than surrounding the coil as is typical in most woofers. The concentric tube structure and the elimination of a conventional top-plate helps place the motor system higher up into the cone body’s space to further compress depth, while still permitting excellent mechanical excursion. DMA is JL Audio’s proprietary Dynamic Motor Analysis system and is aimed at improving dynamic motor behavior. As a result of DMA optimization, TW1 motors remain linear in motor force over an extreme range of excursion and also maintain a highly stable fixed magnetic field in the gap over a wide power range. This leads to vastly reduced distortion and faithfully reproduced transients… or put simply: tight, clean, articulate bass. Its main catalyst is the driver’s Ultra-long Voice Coil, that allows extreme linear excursion, phenomenal power handling and control, control, control.